December 2016: Congressman Seth Moulton, District 6, gets a private showing of the Visible Good Shelter. Due to the Congressman’s busy schedule he hasn’t been able to make time to visit Visible Good at our Newburyport warehouse. We understand, so when the opportunity arose to visit the Peabody City Hall for the 6th District Economic Development Federal Resource Forum, Visible Good decided to bring a shelter to him. 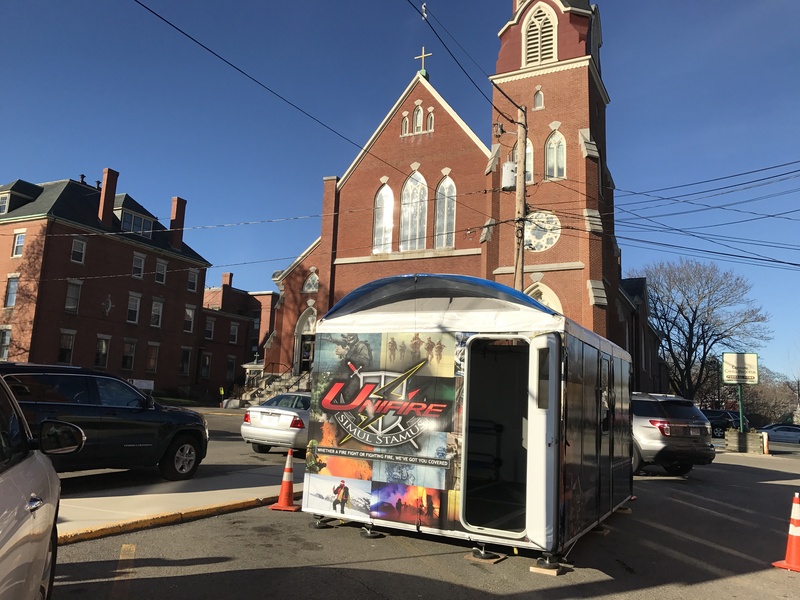 Here’s a photo of the Shelter setup directly parallel to the City Hall and only steps from Moulton’s parking spot – indeed the efforts were rewarded and Congressman Moulton spent some time with the Visible Good team inside the shelter on his way into the forum.